If you mean business, then chances are Biznane is for you. This great template works best with companies that are in consulting, finance, small businesses or startups. Biznance is a great way to set up a website for your project efficiently while gaining traction and growing your audience and clientele. 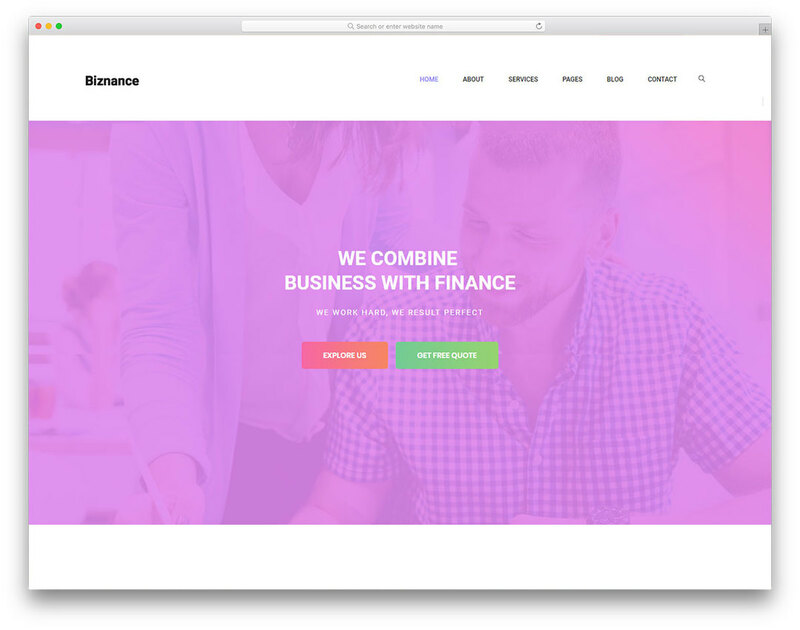 Biznance is based on a Bootstrap Framework, which means that it will load incredibly fast, be easy to adjust and customize! It’s a dream come true for anyone who needs a website but doesn’t have any technical knowledge. Social media, style, Google Maps, and other widgets. Everything is covered with Biznance.